New York, NY -- ASCAP and BMI, the country's two leading performing rights organizations (PROs) collectively representing more than one million songwriters, composers and music publishers, have joined forces to fight the Department of Justice's (DOJ) recent interpretation of their respective consent decrees and to push for consent decree reform. United in their belief that the DOJ's decision to mandate 100% licensing will cause unnecessary chaos in the marketplace and place unfair financial burdens and creative constraints on songwriters and composers, the two organizations are pursuing a joint campaign: BMI through litigation and ASCAP through legislative reform. New York, NY -- Broadcast Music, Inc® (BMI®), the global leader in music rights management, today reported that it had achieved the highest revenues and royalty distributions in the Company’s 75-year history for its fiscal year ended June 30th. 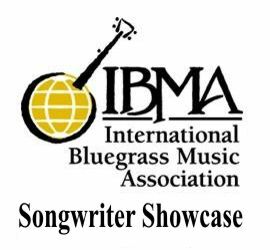 BMI generated record revenues of $977 million, and distributed and administered more than $840 million to its songwriters, composers and music publishers. These results cap a ten-year period during which BMI has generated more than $8 billion in revenues and distributed royalties of more than $7.5 billion. BMI operates on a non-profit-making basis and returns more than 85% of all revenue to the musical creators and copyright owners it represents. Lake City, Tennessee has a history of names which originated as Coal Creek, Tennessee. Last year, the town made a decision to change their name again to "Rocky Top, Tennessee" a ficticious town in the song "Rocky Top" and take advantage of the popularity of the song. The town was even going to create a "Rocky Top" theme park. Normally, a town name change is just a formality however, this time, there is an unusual twist. 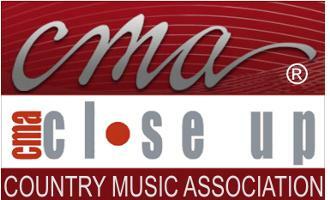 Nashville, TN -- The Country Music Association has your passport to reaching and engaging the international marketplace. The Association’s mission is to help expand the format around the world and for the first time, CMA is presenting the International Country Music Marketing Summit, March 1 at Disneyland Paris. The Summit includes panels, research, and a CMA Songwriters Series event with superstars Wynonna and Sugarland’s Kristian Bush, hit songwriters Brett James and Dallas Davidson, and the summit will be hosted by Songwriter Hall of Fame Member Bob DiPiero. Nashville, TN -- Nashville Songwriters Hall of Fame member Allen Reynolds will take a seat at the Country Music Hall of Fame® and Museum on Saturday, October 6, as the latest subject of the quarterly series Poets and Prophets: Legendary Country Songwriters. The 1:30 p.m., in-depth interview and performance, held in the museum's Ford Theater, is included with museum admission and free to museum members. The program will be streamed live at CountryMusicHallOfFame.org. /CMA/ Nashville, TN -- The CMA Songwriters Series makes its Pittsburgh debut bringing some of Nashville’s best tunesmiths to Hard Rock Cafe Pittsburgh on Wednesday, Sept. 12 (8:00 PM show time, doors open at 7:00 PM). Rodney Atkins and Luke Laird will join host Bob DiPiero for a night of music and storytelling. 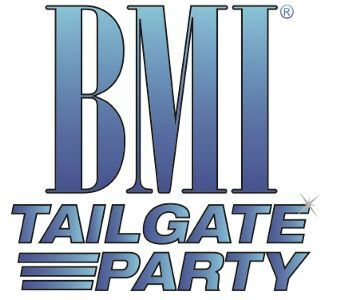 Nashville, TN -- BMI will help make downtown Nashville's beloved celebration of all things Country Music even bigger with the introduction of the BMI Tailgate Partyat 2012 CMA Music Festival, Thursday through Sunday, June 7-10, beginning at 4:30 PM. Located right off the Cumberland River outside LP Field, the new stage will feature a strong selection of BMI's songwriters and artists warming up the audience before they enter LP Field for the Nightly Concerts. Nashville, TN -- Renowned Nashville-based songwriters/producers Cordle, Jackson & Salley (also known as Larry Cordle, Carl Jackson, and Jerry Salley) will band together on August 18, 2011, to host a benefit concert on behalf of the Fore A Good Kaas Foundation to support the SADS Foundation. The concert is dedicated to the memory of Rob Kaas, a professional golfer who died prematurely at the age of 28 due to SADS – Sudden Arrhythmia Death Syndrome. All funds raised from this benefit concert will be donated to the SADS Foundation.